It is time once again to announce Tent Sale dates for the new year! 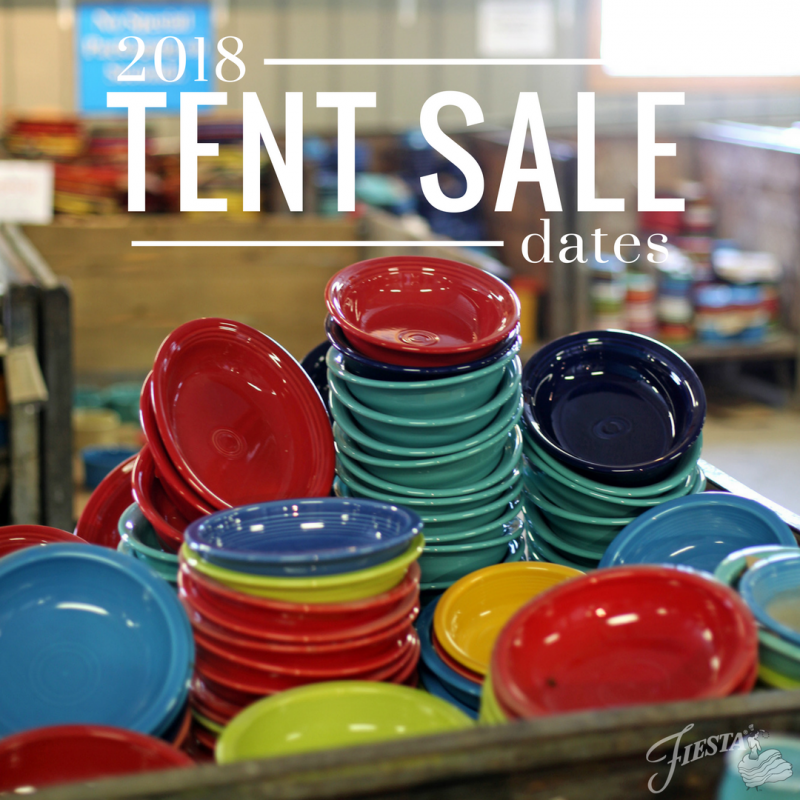 Fiesta Dinnerware Tent Sales bring customers from far and wide for huge savings on our discounted seconds ware. If you’re looking to save on our dishes and are in the area (or up for a fun road trip! ), check out our dates below and plan your trip! We are considering bringing back the Columbus, OH Tent Sale in 2018. Stay tuned!